Dave Schrandt has been a member of NAEHCY for 10 years, serving on the Board of Directors as Conference Co-Chair for 4 years and Vice President in 2017 before taking on the role of President in late 2017. 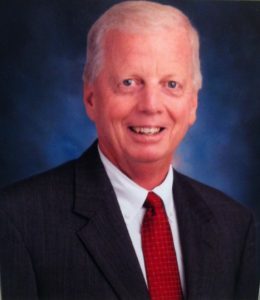 Dave retired from the Cypress-Fairbanks Independent School District in Houston TX, after a tenure of 37 years, with positions including Homeless Liaison and Foster Care Liaison. Dave has participated in Washington DC as a panelist for 2 Congressional Children’s caucuses hosted by First Focus, he was selected as a Texas Education Homeless Liaison of the Year by the Texas Homeless Education Office. He was also elected to the Cypress-Fairbanks Independent School District Wall of Honor in 2014. Dave is also on the Board of Directors for Mission of Yahweh, a local homeless shelter in Houston TX. Dave is married with two children, and enjoys travelling, playing golf, and volunteering to assist homeless students and their families.